Our lovely Minnie Mouse starring at a movie called "Electric Holiday". This movie is about fashion and designers. 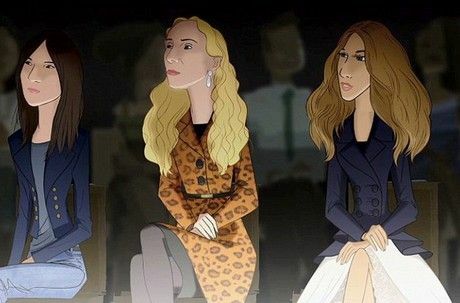 When Minnie is dreaming herself wearing designers' clothes and catwalking with her close-disney friends..Sarah Jessika Parker, Naomi Campbell, Lady Gaga, Emmanuelle Alt, Franca Sozzani, Cathy Horyn, Daphne Guinness, Carine Roitfeld, the blogger Bryanboy and Suzy Menkes are at the first row watching this gorgeous fashion show. 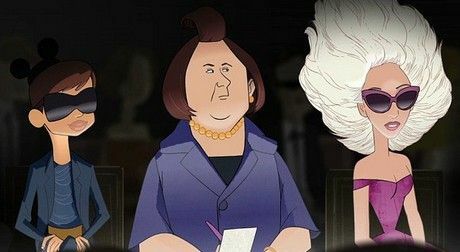 This movie is made by Disney and Barneys for the Christmas campaign of Barneys' store in New York. Definitely an amazing idea!! BryanBoy (fashion blogger), Suzy Menkes (from "Herald Tribune"), Lady Gaga. I love your blog, would you like to follow each other? let me know!